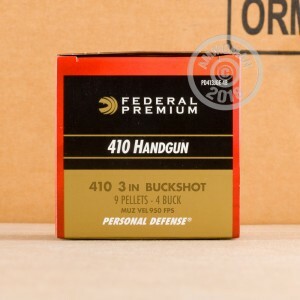 This 410 bore ammunition from Federal is designed to work in handguns such as the Taurus Magnum Judge. 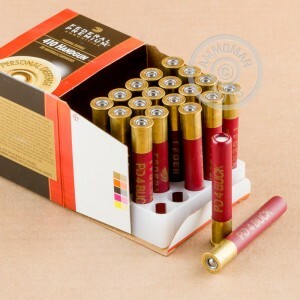 Each 3" shell in this box of 20 fires 9 pellets of #4 buckshot at a muzzle velocity of 1,200 feet per second. 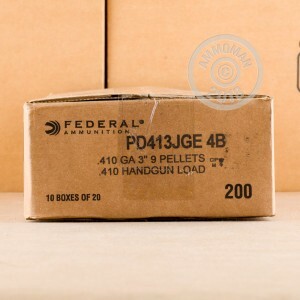 Federal ammunition is loaded in Anoka, Minnesota and enjoys a solid reputation for reliability.